The benefits of the mighty egg! We all know that those free range eggs your girls provide are delicious. In fact, Alana Spencer, former The Apprentice winner and owner of Ridiculously Rich cake company, told us that the eggs from her hens make the tastiest cakes! 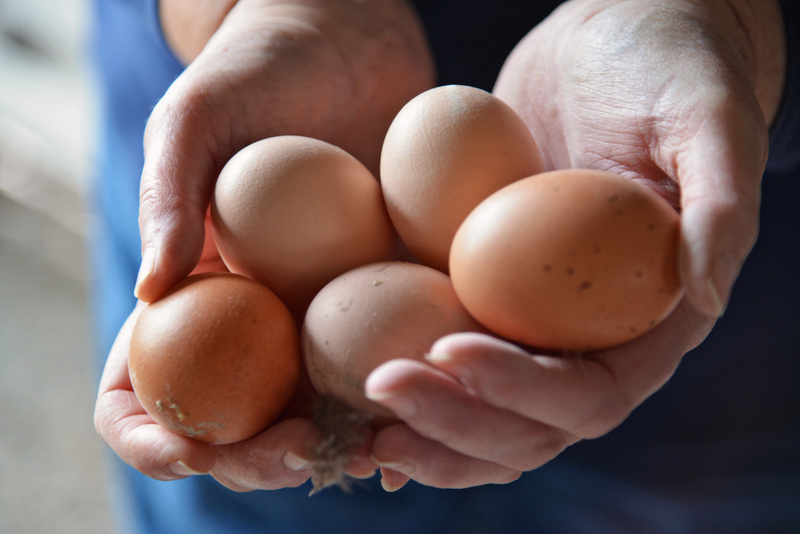 But it turns out that the flavoursome taste (and the happy feeling you get knowing your egg is from a happy hen) are not the only wonderful things about eating eggs! It’s reported that eating eggs at dinnertime can help you to achieve a good night’s sleep! Egg whites help the body prepare for bedtime by producing melatonin, which is responsible for that sleepy feeling. Eggs are also chock full of vitamins such as B12, B5, biotin, thiamine, riboflavin and selenium. These super vitamins can help us to maintain healthy skin, hair and nails by providing nourishment to our cells! And eating eggs can also help you get fitter! They are a great source of protein which will make you feel fuller for longer, and will help you fight off the urge for snacks! On top of that, because of the high protein content, eggs can be used a replacement for protein shakes and protein balls which are often used by people wanting to build their muscles. Contrary to popular belief, eating the whole egg is better for muscle development than eating just the egg whites on their own. Other nutrients present in eggs, like lutein and zeaxanthin are thought to reduce the risk of age-related eyesight issues in older people, such as macular degeneration. And last but not least – the choline content in eggs is considered to be a factor in maintaining good brain development and enhancing our memory!